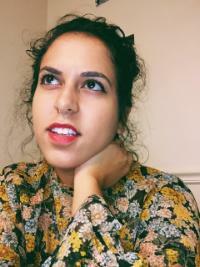 Zaina Alsous is a first year MFA student in poetry. She is the daughter of Palestinian immigrants and graduated with a BA in Political Science from the University of North Carolina at Chapel Hill. Her work has appeared in The Offing, Radius Lit, decomP, Abolition Journal, and elsewhere. She is interested in writings on decolonization, prison abolition, and Arab diaspora. Mario Alejandro Ariza is a Dominican immigrant. He is currently a Michener Fellow in poetry at the University of Miami’s Master in Fine Arts program, and he holds a Master’s degree in Hispanic Cultural Studies from Columbia University. 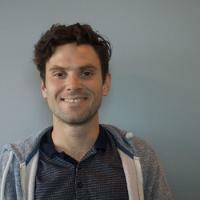 He has held a waiter-ship from the Breadloaf Writer’s conference, is the winner of the 2015 Small Axe magazine poetry contest, and was a 2016 Cantomundo fellow. His poetry can be found in places like The Cincinnati Review, Gulf Coast, The Raleigh Review, and The Baffler, You can find his journalism in places like The Atlantic and The Miami New Times. He is currently working on a book about one his greatest obsessions, human-driven climate change, and its effects on the South Florida. 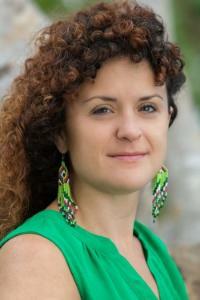 Camila Barbeito is an MFA student at the University of Miami. She is also a Latin Grammy nominated singer-songwriter of the Latin-alternative genre under the artistic name Camila Luna. She is a mixture of Puerto Rican, Venezuelan and Cuban descent and grew up in Miami. Camila is interested in family relationships, the Latin culture, musicality, and the juxtaposition between tenderness and subversive questioning. Andrew Boryga is a native of the Bronx, New York. 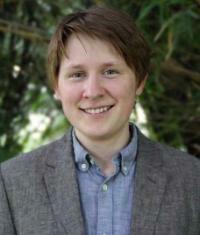 His fiction has appeared in the Susquehanna Review, Vandal, and The North Central Review. His non-fiction has appeared in The New Yorker, The Atlantic, and The New York Times. He enjoys talking to college and grade school students about writing and how he affords to pay his bills and cut his hair. He is currently working on his first novel. Born in Miami, Dana De Greff is the Founder & Executive Director of PageSlayers Summer Camp, a 2016 Knight Arts Challenge Winner. She is the recipient of the 2017 College or Arts and Sciences MFA Summer Award in Creative Writing and has been accepted or awarded scholarships from Tent: Creative Writing, the Tin House Summer Writers’ Workshop, and The Key West Literary Seminar. Her work appears or is forthcoming in Philadelphia Stories, Hawai’i Pacific Review, Gulf Stream Magazine, The Boston Review, and PANK Magazine. Christina Drill is a first-year fiction MFA student. She was raised in Northern New Jersey by a Panamanian mother and a Jewish father. She received her BFA in Dramatic Writing from NYU Tisch and has worked as a writer, instructor, and curriculum developer with various NYC writing organizations including Girls Write Now and Writopia Lab. Her writing has been published at NYMag.com, Chicago Quarterly Review, Broadly (VICE), GOOD, and Word Riot, among other places. Her e-chapbook "New Bows" was published by Five/Quarterly in 2014. 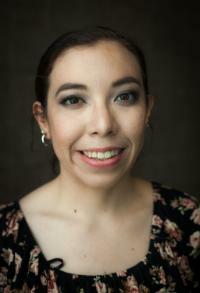 Maria Esquinca is bilingual, multimedia journalist. 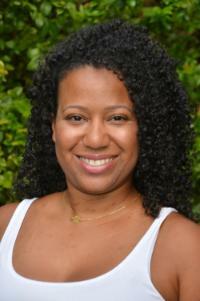 Currently, she is an MFA poetry student at the University of Miami. She recently graduated from the Walter Cronkite School of Journalism and Mass Communication with a Master of Mass Communication. She was born in Ciudad Juárez and grew up in El Paso, Texas, a city on the U.S. Mexico border. She has focused her reporting on immigration, social justice, and issues that affect communities of color. She hopes to be able to talk about the same issues in her poetry, and ideally, in the future, find a way to blend her two passions: journalism and poetry. Maeve Holler is a first-year MFA student in Poetry from Shelton, Connecticut. She is a recent graduate of Tulane University in New Orleans, LA where she received a BA in English, Gender & Sexuality Studies, and Creative Writing. 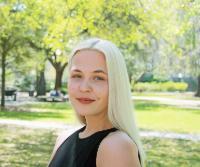 At Tulane, she worked as the Editor-in-Chief of The VOX, a music and culture magazine sponsored by WTUL New Orleans, 91.5 FM. Maeve's poetry has been published by t.NY Press, Exsistentia, Broad! Magazine and the Tulane Review. Originally from California, Candice Mays spent five years living and teaching in New York City. Her work centralizes around being African American in non-inclusive spaces where the protagonists are forced to navigate the lines between the internal self and the external world. She has previously been published in Newtown Literary and Jerkpoet Digest. Fellowships at VONA in Miami, Florida with M. Evelina Galang and Callaloo in Oxford, England with Maaza Mengiste encouraged Candice to pursue an MFA in Creative Writing. Tentatively titled, Marguerite, Candice’s short story collection follows the decentralization of Creole culture through generations of a family rooted in South Louisiana yet blown to Southern California by the Second Great Migration. 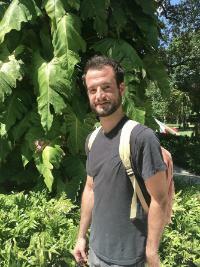 Matthew Nerger is a second-year fiction student from Tampa, Florida. He received his BA in English from Florida State University and is currently working on a collection of short stories collection of short stories about the absurdity and tragedy of American history, as well as at the borders of reality. David Sanchez is a writer from Tampa, Florida. He is a creative writing graduate student at the University of Miami with an emphasis in fiction, but he also enjoys writing poetry. David is an avid reader and sports fan. Some of his favorite writers are Don Delillo, Thomas Pynchon, James Tate, and Cormac McCarthy. His writing interests include professional sports (mostly NBA and NFL), the state of Florida, and new religious movements. He enjoys travelling, backpacking, SCUBA diving, and playing Pai Gow poker. He has been on treks throughout the Wind River. 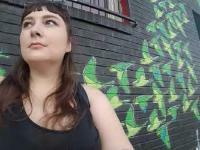 Stephanie Lane Sutton is a poet, essayist, and interactive media artist. She is a co-founding editor of |tap| lit mag, a contributing blogger for The MFA Years, and a poetry & web editor for Sinking City. Her poetry has been anthologized in The Golden Shovel: New Poems Honoring Gwendolyn Brooks (University of Arkansas Press, 2017) and Reading Queer: Poetry in a Time of Chaos (Anhinga Press, 2018), and has recently been published in Day One, Dream Pop Press, Arsenic Lobster, Moonsick Magazine, and FreezeRay Poetry. Her performance poetry has been featured twice on Button Poetry. Previously, she lived in Chicago, where she was a teaching artist for After School Matters and a co-facilitator of Surviving the Mic.